The interval positive linear system is asymptotically stable if and only if the matrices bounding the state matrix are Hurwitz Metzler. The interval positive fractional system is asymptotically stable if and only if bounding the state matrix are Hurwitz Metzler. 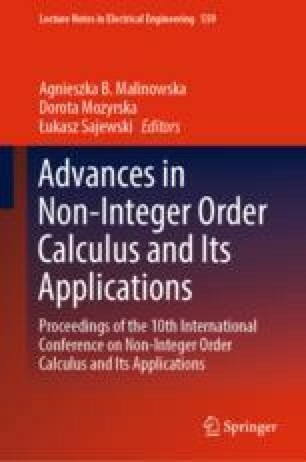 The interval positive of integer and fractional orders continuous-time linear systems with interval characteristic polynomials are asymptotically stable if and only if their lower bounds of the coefficients are positive. It is shown that the interval positive fractional discrete-time linear systems are asymptotically stable if and only if the lower and upper bounds of the state matrices are asymptotically stable. The classical Kharitonov theorem is extended to the discrete-time interval positive fractional linear systems. This work was supported by National Science Centre in Poland under work No. 2017/27/B/ST7/02443.